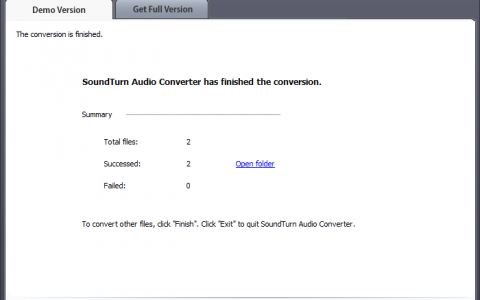 SoundTurn Audio Converter – Convert audio & video files to WMA, WAV, MP3, OGG, etc. with top quality. Fast and straightforward audio converting utility to help convert audio & video files to WMA, WAV, MP3, OGG, FLAC and more with top quality. Batch Convert in Wizard Style, Risk-Free. 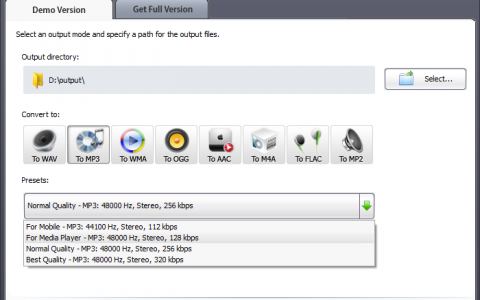 Need to convert audio files to the most popular audio formats and enjoy them in your players? SoundTurn Audio Converter is what you are looking for! 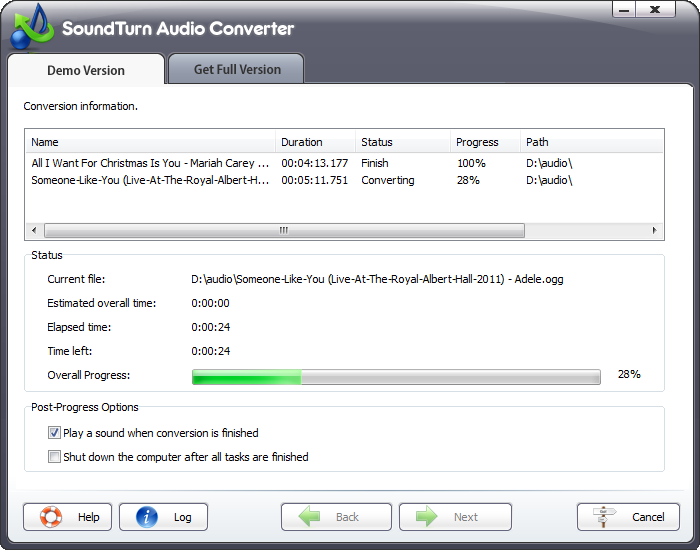 SoundTurn Audio Converter is a fast and straightforward audio converting utility. It helps you easily convert audio & video files to WMA, WAV, MP3, OGG, FLAC and other formats without any quality loss. The intuitive interface puts everything at your fingertips. Also it allows you to change the file order to fit your plan. The ready-made presets make adjusting output quality easier. 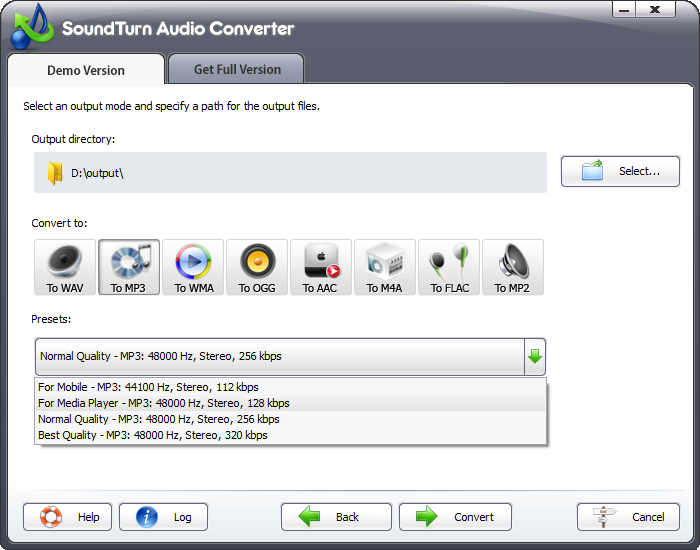 SoundTurn Audio Converter is able to convert a large number of audio and video files regardless of their formats. 50+ audio formats like WAV, MP3, OGG, WMA, APE, FLAC, MP2, AAC, MPC, M4A, AC3, RAM, AU, AIF, AIFF, etc. and 300+ video formats like AVI, WMV, MP4, ASF, DVR-MS, MS-DVR, MOV, 3GP, etc. can be input and converted with no size limitation. In the conversion list, all necessary file info and the thumbnail of each file can be viewed. If you want to play the selected file, click “Play” button in the bottom right corner of the program. If you are not satisfied with the current position of them, you can manage the files easily by dragging them to the desired position or use “Move Up/Down” to change the order. No need to be experienced in the audio conversion for each format is provided with a preset list in order to get a precise result. You can control the quality with its well-configured presets for output files according to your professional or casual needs: frame rate, bit rate, resolution, etc. There is no quality loss during the conversion. 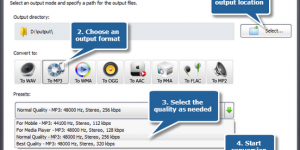 Getting the customized output quality is no longer a problem with this professional audio converter! 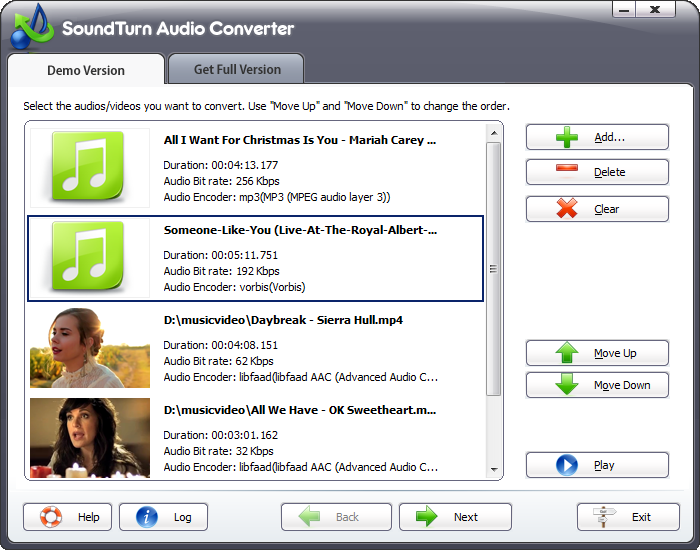 SoundTurn Audio Converter enables you to convert audio files from one format to another while maintaining high audio quality. With this powerful audio converter, you can convert tons of audio files to the most popular audio formats such as MP3, WAV, OGG, WMA, AAC, FLAC, MP2 and M4A for audio CD burning and music player enjoyment. SoundTurn Audio Converter also works as an audio extractor. It enables you to extract audio from any videos like music videos, downloaded YouTube video, even HD-video files to MP3 or other audio formats or audio books without hassle. Now enjoy them anytime on your media player! With this powerful audio converter, getting sweetened music for compatible music players has never been easy! This smart audio converter app would help you get the music that would be played on any music players: MP3 player, Zune, iPod and more. Now, enjoy your wonderful music anywhere and anytime! 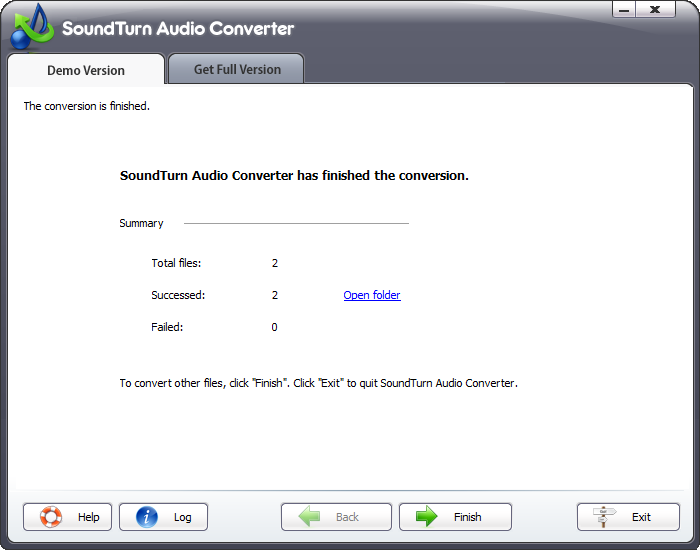 It’s 100% safe and easy to use SoundTurn Audio Converter. It is guaranteed not to contain any spyware, viruses or any other kind of malware. The elegant interface & obvious buttons put everything you need at your fingertips and make the whole conversion enjoyable. You can easily find any options as needed and convert the audio files to the format you want in just few clicks. With step-by-step wizard, requiring no technical knowledge, even beginners can do the conversion without troubles. The inbuilt batch conversion engine makes it easy to increase performance in case of mass conversion. The support for batch conversion process makes your audio conversion faster & handier and saves your much time. It also supports multi-core CPU & checks your CPU type automatically and makes full use of your CPU to bring you the super high conversion speed to save much precious time. Usually we can’t play all favorite music on our media player because it doesn’t support all formats. That’s the problem what SoundTurn Audio Converter is designed to solve – it performs music conversion of several popular formats. 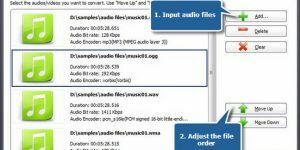 We have tested the output quality of some audio files and feel the performance of this audio converter is among the excellent programs.